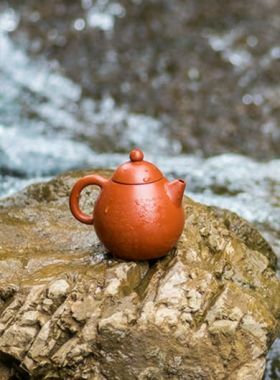 This Zisha teapot has very chic shape; the teapot lid has a little pig made by Jiang Po Ni, its lines are clearly visible and its facial expression is vivid. 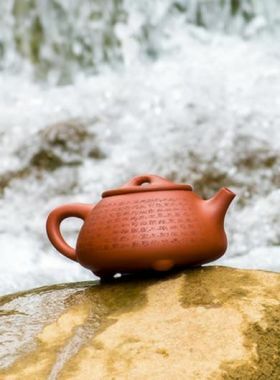 The combination of the cute pig and the traditional Zisha art will bring much fun to your tea time. 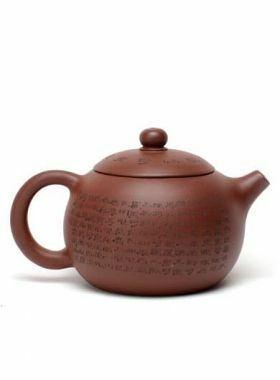 Moreover, there is a retro style ‘door’ on the teapot body, decorated with a Chinese character ‘福’, which means the arrival of blessing, and also express an expectation for a better future. Duan Ni: Duanni is called Lao Tuanni which is common seen in Huanglong Shan, Yixing, Jiangsu Province. Besides being used to make pottery, Duanni also can be grind into fine particles to be used to blend. Being burning Duanni will become yellow in color, with very small amount of red spots. This kind of clay is of loosen and double air hole structure, that leads smooth cross-ventilation. 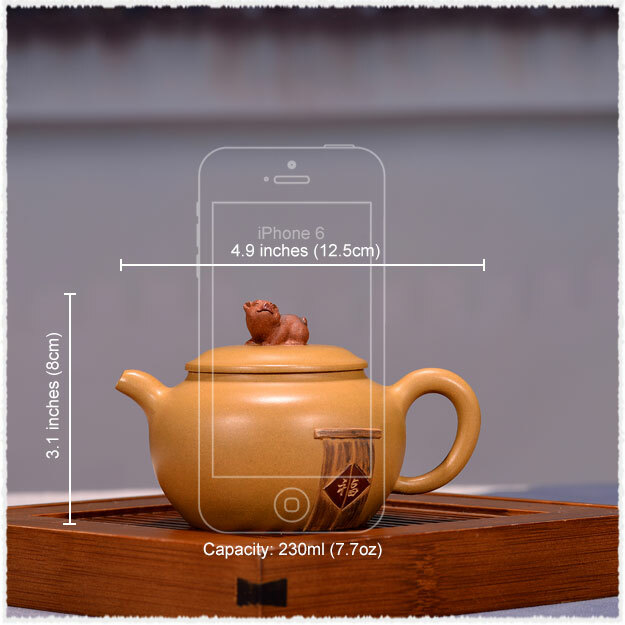 Teapot made of Duanni is such a good choice to enjoy best teas.